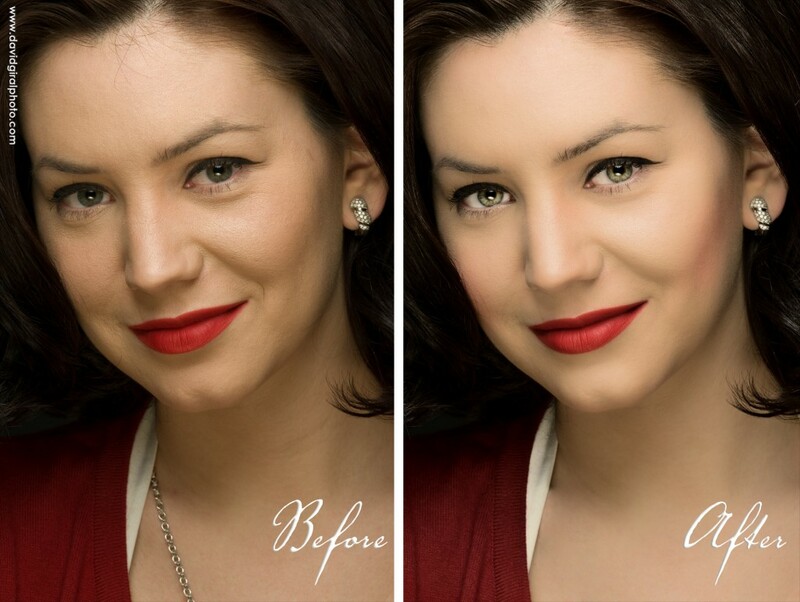 Photoshop portrait retouching is everywhere: in blogs, newspapers, magazines. With the development of online tutorials, plug-ins and actions, access to the skill has become easier than ever. However, like all skills, learning how to balance each adjustment is not that as easy as it may seem and experience is key. It can also depends on the context in which the portrait has been taken (one just has to look at some of these editing disasters to see that trying to cut on the quality can really hurt you) . Each client has his/her own opinion on how the editing should be done which can make it hard for the photographer to do his/her job properly. It is the photographer’s responsibility to find the right balance in editing. A good example being that an older woman might not like to have all her wrinkles edited or smoothed out, as it creates an unrealistic and unrecognizable version of herself. In my opinion, retouching has to look effortless and not photoshopped. Attention to details is a must-have too. As beginners, we all made the mistakes of over-whitening the teeths and eyes, overs-moothing the skin or just remove all traces of imperfections. But little things that we might removed like birthmarks are what makes an indiividual in the first place. Now let’s come back to this portrait. The model is Robyn, independant model/makeup artist/designer and owner of the blog fashionista514.com. She will also be featuring this makeover over on her blog so go check what she has to say on the subject. It was our first time meeting each other and we only had 10 minutes for a quick headshot session. The very classic lighting setup consisted of a Alien Bees AB800+ Beauty dish on a boom above camera (butterfly lighting). Fill was provided by a 5in1 gold reflector held at the waist level by Robyn. Robyn makeup was close to being perfect especially with a red lipstick (MAC Ruby Woo) featuring an amazing texture. Video duration: 9min33 (short version is available here) – music by Jansen: Staring At The Sun Feat Percy-Duke Dbn Remix. As illustrated here, creating high quality photos takes time (30min to the very least for really high quality editing) and justifies the fees most photographers charge. Next time you book a photoshoot, make sure you ask what kind of retouching is provided. I like the video – no words text but tells the story! The final result looks great too. I like the video – no words or text but tells the story! The final result looks great too.